Tregillis, Ian. 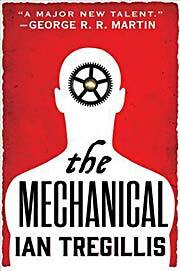 The Mechanical . Orbit 2015. What if: Christiaan Huygens combined alchemy with clockmaking to create mechanical men. 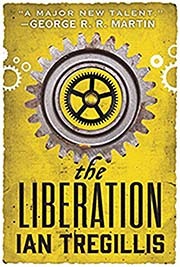 Series note: Series including The Mechanical , The Rising , and The Liberation . Publication note: Also known as the Clakkers Trilogy during development. Tregillis, Ian. 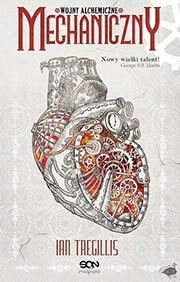 The Mechanical , translated to the Polish as Mechaniczny . Sine Qua Non 2016. Series note: First volume of The Alchemy Wars. Published: Orbit 2015 (0316248002w88 android, 0316248002w88 androidBUY). Publication note: Also known as Clakkers prior to publication. Translation: Italian by Maria Sofia Buccaro as L'Obbligo , Mondadori 2016 (9788804669456). Translation: Polish by Bartosz Czartoryski as Mechaniczny , Sine Qua Non 2016 (9788379246861). Tregillis, Ian. 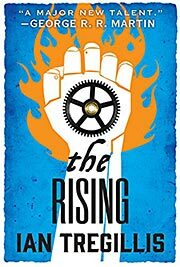 The Rising . Orbit 2015. Tregillis, Ian. 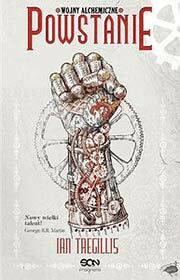 The Rising , translated to the Polish as Powstanie . Sine Qua Non 2017. Series note: Second volume of The Alchemy Wars. Published: Orbit 2015 (0316248010BUY, 0356502333BUY). Translation: Polish by Bartosz Czartoryski as Powstanie , Sine Qua Non 2017 (9788379247752). Tregillis, Ian. The Liberation . Orbit 2016. Series note: Third and presumably final volume of The Alchemy Wars. Published: Orbit December 2016 (0316248053w88 androidBUY, 0356502341BUY).